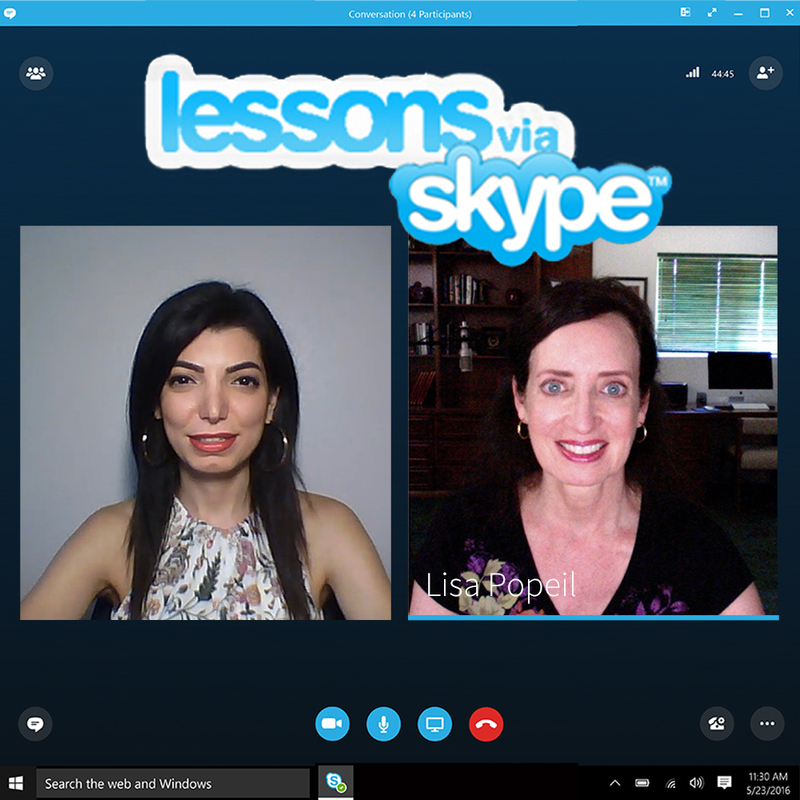 Schedule a private lesson with Lisa Popeil anywhere in the world on Skype or FaceTime! Schedule your one-hour private voice lesson with Lisa from anywhere in the world! Please read these following instructions carefully to maximize your lesson time. 1) First, purchase the 1/2 hour or 1 hour private lesson and enter your credit card number to reserve your lesson. 3) Carefully read the instructions below. Prior to our lesson time, make sure you quit all unnecessary applications on your computer. If you don’t have a built-in microphone on your computer, you’ll need to use a USB microphone. Otherwise the built-in microphone will work just fine. Set your Sound Input in your System Preferences to ‘built-in microphone’ or ‘USB microphone’. At our lesson time, I will ‘invite’ you. Make sure your Skype application is open and that your volume is up. Please have your phone handy in case I need to text or call (for that rare problem).